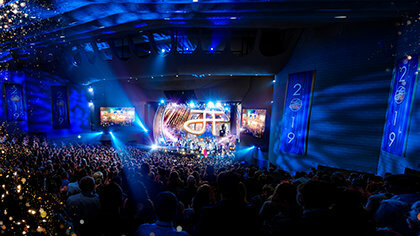 Over the last ten, fifteen years our religion has experienced monumental expansion and I know for a fact that that is directly because of Church leadership and most specifically David Miscavige. Because I know from having met him, from having spoken to him and from having listened to him talk over those years. I know of his integrity. I know of his unending dedication to making sure that the Church expands. And that all of us who are members of the Church receive one hundred percent standard Scientology and Dianetics. If someone were to ask me, “What is Dave Miscavige like?”, I would say that he has impeccable manners. He is extremely personable. He is funny as all get-out. He is, he has very high affinity and liking for people. 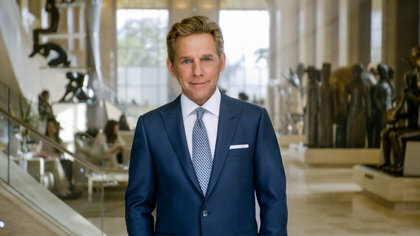 He has a huge amount of care for the people that are around him and from my viewpoint he cares for everyone within Scientology and without Scientology. So, he’s a very big guy and he can embrace a huge group and a huge movement and I just thank our lucky stars that he’s at our helm, because that’s why we're experiencing the growth that we are now.